In the space of a few seconds against Liverpool, Neymar showed why he's considered one of the world's best footballers - and displayed the divisive antics that make him one of the most hated sports stars on the planet. 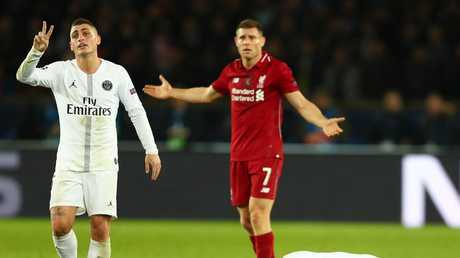 With PSG clinging to a one-goal lead in the dying embers of their 2-1 Champions League win over Liverpool, most would have held the ball up in the corner to kill off the little time remaining. The flashy Brazilian opted for a jaw-dropping rainbow flick over Xherdan Shaqiri on the touchline in a showing of his mercurial talents. But then, as he had done throughout the clash, he proceeded to undo his good work in the eyes of may by hurling himself theatrically to the ground in an attempt to con the referee. As he lay on the turf clutching his face for the umpteenth time, Twitter users resumed bemoaning the antics that, to some, derail the game. 'Cheat,' 'diver' and other less pleasant words were recurring in the popular discussion, as fans attempted to reconcile the attacker's brilliance with his shockingly over-the-top acting skills. Leonardo Di Caprio was on hand at the Parc Des Princes to watch the match, many joked he was in the stands to receive some acting tips from Paris' top thespian - Neymar. "You act like you die then you get up again you should get a yellow card," Reds boss Jurgen Klopp said after the game without pointing a direct finger at Neymar. Before adding: "The number of interruptions in the game was not cool. We've won the Fair Play award twice, but we were made to look like butchers here with all the yellows we got. Neymar and others were clever for PSG. We were not that calm anymore." The two comments display the dichotomy of the Brazilian's game. On one hand, his footballing prowess is undeniable. But, on the other, his repeatedly over-the-top behaviour and attempts to shadily play officials are arguably bringing the game into disrepute. Neymar was largely the star throughout the game. He scored the second and eventually decisive goal with a well-taken finish - although he proceeded to celebrate in four different ways with teammates. While there was another chastening moment when he failed to receive a pass after interacting with the crowd and losing concentration. The 26-year-old took his tally in the Champions League to 31 with the strike, moving him top of all time for Brazilians in the competition, surpassing the likes of legends like Kaka and Rivaldo. But regardless of his feat and incredible performance, the conversation surrounding the match drifted once again to his antics off the ball. "By the way the antics of PSG were a disgrace! Neymar brings the game into disrepute!!!" Reds legend John Aldridge wrote on Twitter. His star rose with what the front page of England's Daily Telegraph labelled a 'masterclass' but football fans continue to be struck with an internal debate over whether they can truly appreciate his stunning skills. You'd rarely see the likes of Cristiano Ronaldo and Lionel Messi attract such derisive commentary, and perhaps that's what continues to stop him entering that godly realm. His skills are undeniable, and Liverpool would attest to that, but his antics continue to divide the sport. Spurs kept their Champions League ambitions alive with a 1-0 home win over Inter Milan. They now need to win at Barcelona, who defeated PSV 2-1, in a fortnight for a chance of making the last 16. 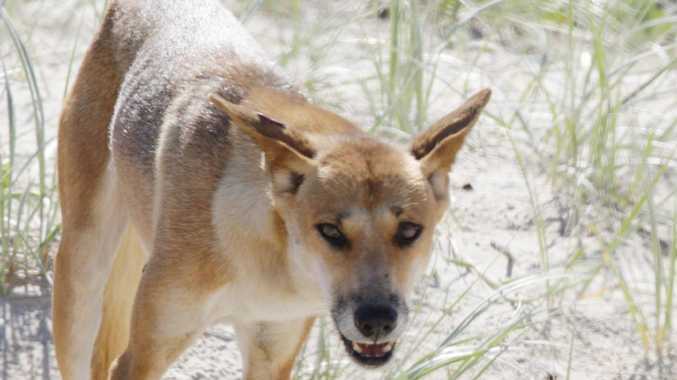 News MORE details have emerged of a terrifying attack that saw a dingo drag a 14-month-old boy from a camper trailer as he slept near his parents. Environment It is the first crocodile sighting of the year on the Fraser Coast.